It has been quite a decade. With the tenth anniversary of the arrival of most dominant force that the World Wrestling Federation has ever seen, many memories have been stirring in my head. And so I am taking it upon myself to chronicle this bizarre history: the story of the Undertaker. It all began over 20 years ago in the home of a mortician. The mortician, happily-married, had two children: Mark and Kane. Unknowing to both parents, the children were born with two special gifts, powers of a force known as the Darkside. One was a connection with the realm of the supernatural, giving them uncanny powers. The other was the ability to hate without reason, the gift that would soon spell the downfall of the family. Mark, in a fit of hatred toward his younger brother, started a house fire to kill him. However, the fire also claimed the lives of his parents, a much-undesired effect. Paul, the mortician's apprentice, found the young Mark hiding in the bushes and, though he had guessed what had happened, took him into his care. But the young apprentice decided to make the child fully aware of his deed. The night before the funeral, Paul dragged Mark to the mortuary to view the charred remains of his parents. So horrified was he with his deed that he did not attend the funeral, at which three caskets were lowered into the ground. The realization of the event shocked and scarred him for life and would shape him into the man he would become. Though the details here are sketchy at best, it could be assumed that Mark became sorry for what he had done and began to seek for a way of atonement. Some years later, the child, now a grown man, entered the World Wrestling Federation as the Undertaker, the product of wrestling with his inner demons for so long. He was introduced at the 1990 Survivor Series, ten years ago, by the Million-Dollar Man Ted DiBiase. Soon after that, he was handed over to Brother Love who handed him over to Dr. Paul Bearer. As soon as the Undertaker saw Paul, he immediately knew who it was: his father's apprentice. The chairman of the WWF, Vincent K. McMahon, used this almost seven-feet-tall man to, as the Undertaker himself would later put it, "keep [the] kingdom safe for all his hand-picked champions." But the Undertaker's power was too big to be contained to just that one area. Drawing his power from a brass urn, containing the souls of warriors gone before him, he immediately established himself as a phenomenal force and became increasingly popular. One year after his arrival, he was given an opportunity and he defeated the "Immortal" Hulk Hogan to become the World Wrestling Federation Champion. Though the reign was very short-lived, he had proven his worth and his might. His quest to reclaim the title was always cut short by a horde of creatures who targeted him. The Ugandan Giant Kamala, under the guidance of Harvey Whippleman, became such a terror that the Undertaker devised a new type of match to rid the placre of him: the Casket Match. He himself constructed the casket and, at SummerSlam 1992, rolled Kamala inside and nailed the lid shut. Harvey Whippleman, to avenge the defeat of the Ugandan Giant, introduced the eight-foot-tall Giant Gonzales at the 1993 Royal Rumble, costing the Undertaker the chance to once again vie for the gold. At WrestleMania IX at Caesar's Palace, the two battled. The Undertaker was choked with a rag doused in chloroform but he inhumanly rose back up to battle him. In the months that followed, the Undertaker and Paul were attacked by the Giant and Mr. Curtis Hughes, another of Whippleman's finds, and the urn was stolen. 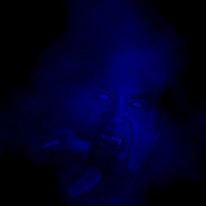 When he returned from the attack, the Undertaker began to demonstrate his supernatural gifts. When the tolling of the bell announced his arrival, light would flee from the arena. Only by raising his arms could the Undertaker restore the light. He soon challenged the Giant Gonzales to a Rest In Peace Match, where the Giant was finally laid to rest and Paul recaptured the urn. 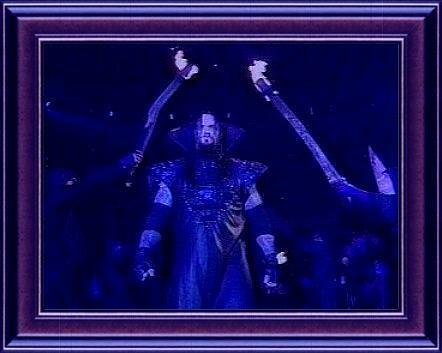 With his enemies laid to rest, the Undertaker announced his intention to reclaim the WWF Championship. He challenged the current champion, the Japanese behemoth Yokozuna, to a Casket Match for the title. Building a double-wide and double-deep casket, he tormented the champion for weeks until the 1994 Royal Rumble. The battle with Yokozuna was taxing but at the end, it was the Undertaker rolling the behemoth into the casket. But, as he was about to shut the lid, ten men, hired by Mr. Fugi, attacked him. Paul was struck down and the urn was opened, allowing the power of the Undertaker to escape in a green mist. The limp and lifeless Undertaker was rolled into the casket and the lid was shut, but as they rolled it away, the bell tolled. Green smoke poured from the cracks of the wood. The arena became dark and the voice of the Undertaker proclaimed that his spirit would not die and that soon he would be reborn. Then all saw the form of the Undertaker ascend to the heavens. 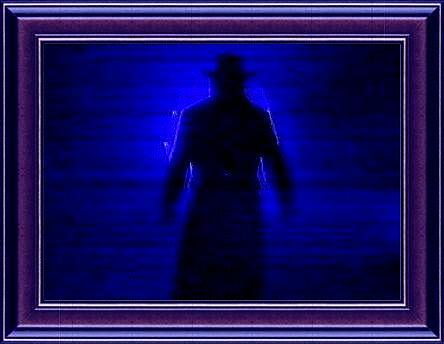 After these events, the Undertaker was sighted in various places throughout the world. Many people reported that they had actually seen the Dead Man, but one man claimed to have actually made contact with him: Ted DiBiase, the man who brought him to the Federation to begin with. Paul called him a liar but DiBiase soon brought him out for the world to see, possessing all the powers that the Dead Man was known to possess. The Undertaker had apparently returned. Paul, refusing to believe that it was true, went to the place where he last felt the presence of the Undertaker: the cemetary. He returned to tell DiBiase that this "false" Undertaker would be destroyed at SummerSlam 1994. As Paul was placed in a choking grip by Dibiase's Undertaker, the lights began to flicker and die. When they returned, Paul was safe and out of the way of harm, proclaiming the presence of the real Undertaker. And then, some weeks later, the voice of the Undertaker spoke to DiBiase from the heavens, telling that the time had come for his resurgence. At SummerSlam 1994, DiBiase brought his Undertaker. Then Paul arrived, but empty-handed. Then he bade several hooded druids to bring forth the double-wide and double-deep casket, not seen since the Undertaker was placed in it months earlier. It was opened and Paul brought out the urn, now twice its original size. Paul opened it and, in the darkness, a beam of light poured forth and struck the sky. Lightning flashed and thunder boomed. The arena grew cold. And then, at the entrance, stood the Undertaker. He marched to the ring and destroyed DiBiase's pretender with three Tombstone piledrivers in a row before depositing him in the casket, where he dematerialized and was never seen again. 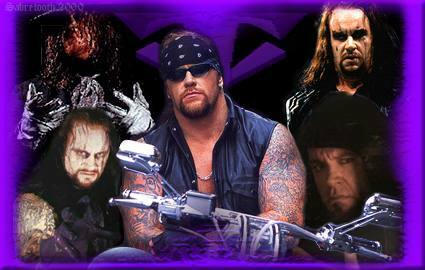 The resurgent and more-supernatural Undertaker blazed a new trail through the World Wrestling Federation. 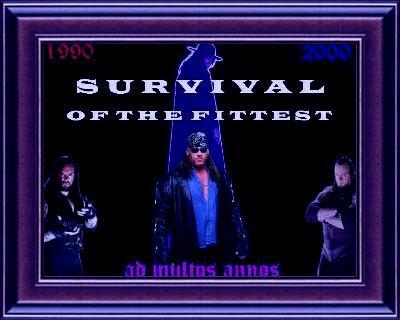 At the 1994 Survivor Series, he defeated Yokozuna in a Casket Match, gaining a measure of revenge. After that DiBiase and his Million-Dollar Corporation stole the urn. He retrieved it only to lose it again to KaMa, the Supreme Fighting Machine, who melted it down into a chain. Without his sacred urn, the Undertaker had to rely more on the strength within himself, now unamplified. Even so, he was still a powerful force. He defeated KaMa in a Casket Match at SummerSlam 1995 and soon after that reclaimed the chain that was his urn, only to lose it again to the monster King Mabel. At the end of the year, he defeated King Mabel in a Casket Match and finally reclaimed his urn. Then, having had enough of the constant bothersome struggles over the urn, he one again declared his intention to win back the WWF Championship. The 1996 Royal Rumble saw the Undertaker face then-champion Bret "HitMan" Hart. The Undertaker had the match won when Diesel, jealous that the Undertaker was given the title shot instead of him, pulled the referee from the ring, costing the Dead Man the match. The Undertaker then promised that it would be "a cold day in Hell" before Diesel ever wore the belt again. He was true to his word. In Diesel's title match with Bret Hart one month later in a steel cage, the Undertaker popped up through a hole in the ring and dragged him under, allowing Bret Hart to escape the cage. The two men settled their feud at WrestleMania XII, where the Undertaker defeated Diesel in the Do or Die Match. It is at this point that the story of the Undertaker takes a very weird turn. The day after WrestleMania XII, a mentally deranged Mick Foley made his debut as Mankind. He attacked the Undertaker with psychotic force on more than one occasion, hell-bent on destroying him. The Undertaker would finally get his purple-gloved hands on the beast at the 1996 King of the Ring, where Paul, seemingly inadvertently, struck the Undertaker with the urn, costing him the match. Months later, we would find out the truth. At SummerSlam 1996 a Boiler Room Brawl between the Undertaker and Mankind was held where the first man to escape the boiler room and take possession of the urn would be declared the winner. The Undertaker reached the urn, held by Paul, first but Paul would not give it to him. He struck the Dead Man with it and gave it to Mankind. After these events the Undertaker challenged Mankind to a Buried Alive Match, where to win one would have to throw his opponent in the grave and literally bury him alive. The Undertaker put his own body on the line, claiming "if it takes destroying the Undertaker to destroyMankindthen that's what I will do." The Undertaker was declared the victor of the match but, as he continued to shovel the dirt on Mankind, a man dressed in an executioner's garb appeared and struck him with a shovel. He pulled Mankind out and shoved the Undertaker in. Then he, along with several others, piled mounds of dirt upon him, with Paul shouting directions the entire time. Lightning flashed and thunder boomed. As they all left the gravesite, a bolt of lightning struck the tombstone. Then the hand of the Undertaker reached out from the ground. One month later, on his sixth anniversary, the Undertaker re-appeared, leather-clad and descending from heaven on bat wings. He defeated Mankind and then the Executioner in an Armageddon Match. The Undertaker, now in the form of a medieval warlord, had returned with great strength and a bad attitude. No one was safe from his anger. At WrestleMania the 13th, after much political maneuvers over the actions of "Stone Cold" Steve Austin, the Undertaker captured the WWF Championship for the second time, defeating Sycho Sid in a No Holds Barred Contest. Mankind first challenged him, throwing a ball of fire in the Dead Man's eyes. 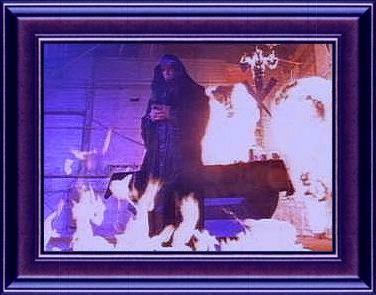 At 1997's Revenge of the 'Taker, he defeated Mankind and ignited a fireball in face of his former manager and friend, Paul Bearer. Soon after that, Paul returned to say that the fire had triggered a plan. If the Undertaker did not return to serve him, then he would reveal the secret of the fire that killed his parents. The Undertaker, in desperation, gave in to his demands for a while. In time he became fed up with the unjust servitude and Paul revealed the secret: the Undertaker killed his family. Amidst thunder and lightning, the Undertaker rammed his fist into Paul until Paul blurted out yet another secret: Kane was still alive. At Badd Blood, all Hell broke loose. The Undertaker was fighting Shawn Michaels, the man who had cost him the WWF Championship at SummerSlam 1997, in a Hell in a Cell Match. Michaels' condition by the end of the match was equated to that of someone who had been in a car wreck. As Shawn Michaels prepared to become victim to the Tombstone, the lights were extinguished. The haunting sounds of a pipe organ led into musical screams as fire burst from the entrance. Then out walked Paul Bearer and behind him, wearing a black and red mask, was Kane. Demonstrating that he possessed the same powers as his brother, he ripped the cell door from its hinges, caused fire to burst from the ringposts, and Tombstoned the Undertaker. Then he left as Michaels stole the victory. In the weeks to come Kane would unleash a path of terror throughout the WWF. Despite repeated attacks from his brother and his former manager and friend, the Undertaker refused to fight Kane, "for I will never fight my own flesh and blood." Ironically enough, this was the same "flesh and blood" that he attempted to destroy in the fire 20 years ago. The reasons for his reluctance to fight at this time is much debated but as yet unknown. The 1998 Royal Rumble was approaching and the Undertaker was once again going after the WWF Championship, facing Michaels, now champion, in a Casket Match. Kane, around this time, had appeared to come around to his brother's side. But in time the truth would come out. During the Casket Match seven men, hired by Michaels and D-Generation X, jumped the Undertaker. Kane came to his aid, eliminating the seven men, and then turned on him, chokeslamming him into the casket. He and Paul then chopped it with an ax, doused it in gasoline, and set fire to it. Officials soon extinguished the flames but, when they opened the lid, the Undertaker had disappeared. He would soon reappear in a blaze of bells and lightning to finally challenge his brother, claiming that "[he] will know [his] name as the Lord of Darkness." Accompanied by torch-bearing druids marching to "O Fortuna Imperatrix Mundi", he faced his brother in an exhausting match at WrestleMania XIV, where Kane was Tombstoned three times before he was defeated. He then went on to face him in an Inferno Match, a devious creation of Paul's mind, a month later at Unforgiven. Though he defeated his monstrous sibling on both occasions, the war was far from over as Paul shocked the world by declaring and proving that Kane was his own son. During this time, Vince McMahon was having problems with the current WWF Champion, "Stone Cold" Steve Austin, and his attitude. This led to Vince's extending his anger and arrogance over the rest of the WWF roster. Finally, the Undertaker had had enough. Claiming that Vince was responsible for exploiting his family tragedy and costing him his title opportunites by having him protect the "hand-picked champions", he demanded that he receive his shot at the WWF Championship. In time he would be given the title shot, but not yet. First came the 1998 King of the Ring, where he faced Mankind once again in a Hell in a Cell Match. The Undertaker's attitude in this match, while he also received his share of injuries, was nothing short of satanic. He threw Mankind from the roof of the cell, chokeslammed him through the roof, beat him with steel steps, chokeslammed him on thumbtacks and finally Tombstoned him. Even today, this match is remembered as the most brutal in the Federation's history. Also at the event, Kane, in an attempt to surpass his brother's legacy, faced Austin for the WWF Championship in a First Blood Match, under the condition that he would set himself on fire if he lost. Vince tried everything to cost Austin the belt: the cell was lowered, Mankind interfered. But nothing worked until the Undertaker came down and attacked Austin with a steel chair, splitting his skin open and costing him the title. The next night Austin would regain the title, but not before the Undertaker explained his actions. He explained that while he and his brother were most likely destined to destroy each other, he would not let Kane set himself on fire because he wanted to surpass a legacy that could not be surpassed. This led to increased tension between the Dead Man and Austin until, by dressing up as Kane, the Undertaker defeated Mankind to become the top contender. The title match was scheduled for SummerSlam 1998. Shortly before the event, Kane aligned himself with his brother. But at SummerSlam, when Kane came down to help his brother, the Undertaker sent him away, as he was determined to win on his own. Only by catching the Undertaker with low blow did Austin hold on to his title. Afterwards, Vince appealed to the brothers to help him rid Austin of the WWF Championship. He scheduled a Triple-threat Match in which the Undertaker could not pin Kane or vice versa. Austin did lose his title when both brothers pinned him at the same time. Vince then made off with the title belt and said that the Undertaker and Kane would have to fight for the belt with Austin as the referee. Angered, the Undertaker attacked Vince and snapped his ankle between the steel steps. 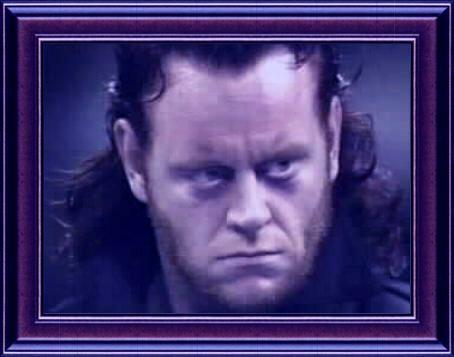 At this time, the Undertaker's anger began to overpower him. The anger led him to turn against his brother at the end of the title match and bring Paul Bearer back to his side. He now set upon forming what he called "the Ministry of Darkness", with himself as its Lord. He also set his sights on the destruction of Austin, whose biased refereeing had cost him the WWF Championship. The two fought in a Buried Alive Match at the end of the year. Austin managed to get the Undertaker in the grave and piled the dirt on him with a Backhoe. When the Undertaker resurrected in the beginning of 1999, he was much changed. Assuming the form of an ancient Celtic druid, he assembled the Ministry of Darkness and set out to destroy Vince McMahon and seize control of the Federation. He did so in a very personal manner: by assaulting and kidnapping his daughter Stephanie and drawing his son Shane into his fold. He attempted to sacrifice Stephanie in a black wedding. But was stopped by Austin, to whom Vince had pleaded to stop him. The Undertaker, in revenge, took the WWF Championship from Austin in a contest in May, thereby capturing the belt for the third time. In time, the Undertaker revealed to Austin the face of the Higher Power, the being whom the Undertaker was serving this whole time. Why he did so and then revealed the Power to be Vince McMahon himself is still unknown. In any case, a match was set up for the 1999 King of the Ring between Austin and Vince and Shane McMahon, where the winner(s) would take 100% control of the Federation. The McMahons won and now the Undertaker had all the power. In time, however, Vince once again played true to his nature and envisioned himself the master. After Austin took the title back, the Lord of Darkness challenged him to a First Blood Match to get it back. A stipulation was added that if Austin won then Vince would disappear, never again to interfere in WWF business again, but if Austin lost then he could never again pursue the belt.. Vince warned the Undertaker that he had better win the belt and to remember who his boss is. The Undertaker responded that he would win the title for no one but himself and that no one tell him what to do. Austin did win in the "End of an Era" First Blood Match and Vince left. One can only wonder if the Undertaker was angered that he lost or happy to see Vince go. After this, the Undertaker again took to tormenting his brother Kane by assaulting his friend X-Pac, the man who had cost him the First Blood Match. He also took an apprentice, the Big Show Paul Wight, the man whom he would train to follow in his footsteps. He was so consumed in his own mission that, when the Big Show attacked Paul Bearer, the Undertaker did nothing to stop it and left him laying in the ring. In time Vince was re-instated and he once again took charge. Once again showing that no one tell him what to do, the Undertaker walked out of the WWF after refusing to wrestle in a Casket Match against Hunter Hearst-Helmsley. Vince covered up this embarrassment by declaring that he had indefinitely suspended the Undertaker. Just where the Undertaker was during the next eight months was unknown. Even Paul Bearer, once the Undertaker's closest friend, had no idea. It would later be discovered that he was out in the deserts of Death Valley, the place of his birth, wrestling with the Darkside and wondering how, or if, he should ever return to the world of men. Then, at Judgment Day 2000, the Undertaker returned. 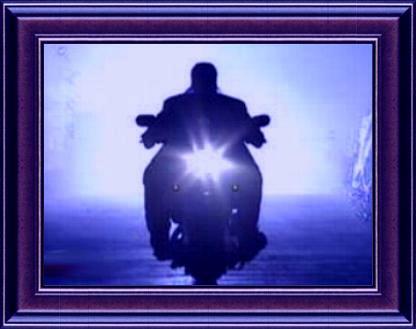 Riding in on a black motorcycle, the Dead Man, now the "American Badass", attacked the entire McMahon family and their associates. He has since then been an amazing force, in control of the Darkside and at last having back what he lost over 20 years ago: a normal life. Kane still haunts him, though. The two brothers have not been unknown to fighting since his return. But Kane is still locked in a limbo of betrayal and aspirations. As long as he is still bent on surpassing his brother's legacy, he will not survive. I do not envision, however, the Undertaker coming to his brother's assistance anytime soon. It has now been ten years since the Undertaker first came into the World Wrestling Federation and once again his is after the WWF Championship at the 2000 Survivor Series. While no one can predict the future, I do have a feeling that our Olympic Champion shall become the first casualty of "Dead Man, Inc."